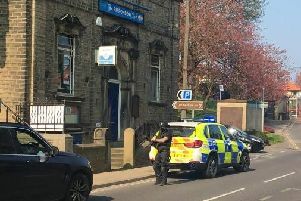 A NEW report on beleaguered South Yorkshire Police has identified a “void and disconnect in strategic direction” as the force has faced a “perfect storm” of budgets cuts, increased demand and high profile “legacy issues”. The force has recently found itself at the centre of a range of controversies, including the outcome of the Hillsborough inquests, the child sexual exploitation scandal in Rotherham, calls for a new inquiry into the so-called Battle of Orgreave and its investigation into Sir Cliff Richard. After £195,000-a-year chief constable David Crompton was suspended earlier this year in the wake of the Hillsborough verdicts, South Yorkshire’s Police and Crime Commissioner Alan Billings and temporary chief constable David Jones set up a “peer review” of the force. Both men said yesterday said that the published report, which warned that good officers are ‘jumping ship’ and that the force’s cuts plans have ‘not been well thought through’, made uncomfortable reading. The review also attacked the decision to cut £8m from neighbourhood policing budgets by removing dedicated teams of knowledgeable local officers who dealt specifically with longer-term community issues instead of just responding to crime reports. reactive operational activity to the exclusion of organisational (strategic) change and this has exposed the force during a period in its history where austerity, changing demand and legacy issues have collided to create the perfect storm. The review was undertaken by a team of specialists under the College of Policing’s peer support arrangements led by Deputy Chief Constable Andy Rhodes from Lancashire Police. Responding to the review, Mr Jones said it was an “honest and frank summary of where we are today”. He said: “The report makes clear that decision making has been isolated, staff have not been listened to and action has not always been taken on agreed plans. Financial and operational planning have not been linked and there has been an under-investment in key areas. Mr Jones said the findings would be shared with Stephen Watson – the Deputy Chief Constable of Durham Police who will become the substantive chief in South Yorkshire in November. Major concerns were also raised about the ‘significant pressure’ on the Public Protection Unit, which deals with offences such as domestic abuse and hate crime.